Home - Features - ‘The Social Network’: Is Zuckerberg the euro of Internet moguls? ‘The Social Network’: Is Zuckerberg the euro of Internet moguls? NEW YORK (Forex News Now) – “The Social Network,” a film about the creation of Facebook, is said to paint an unflattering portrait of the website’s low-profile founder, Mark Zuckerberg. The movie, made without Zuckerberg’s cooperation, portrays the 26-year-old as a conniving backstabber who stole the idea for the site. Facebook officials reject the portrayal as both untrue and uncharitable. 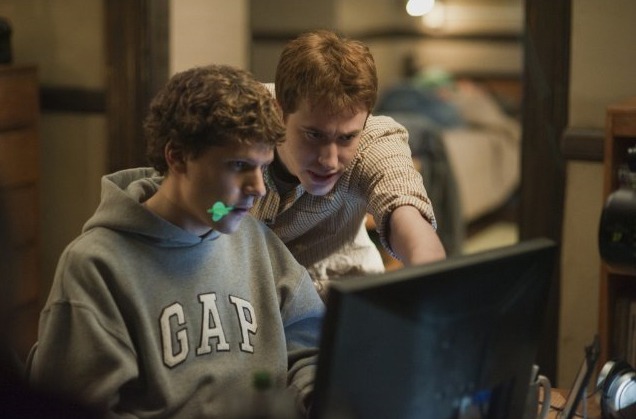 Beyond the issue of the veracity of the account, there is another matter, hidden in the film’s subtext, which only the most hardened FX traders are likely to notice – the possibility that “The Social Network” is, in fact, essentially an analogy for the spectacular rise of the euro in currency market trading. Just think for a second: the film’s tag line is, “You don’t get to 500 million friends without making a few enemies.” Is this not exactly what happened to the single European currency in online FX trading? The euro, which actually younger than Zuckerberg, has shaken up the world of realtime forex news; Facebook revolutionized the world of online social networking. And both website and currency are revered and attacked for their success. One only has to look at the glee in the British press during the recent euro zone debt crisis to see the naked desires, bubbling under the surface, for the currency to fail as its FX rate plummeted. Does “The Social Network” not tell a similar story of one man’s vision and his struggle against people known in the world of hip hop as “playa haters”? The question is, when the film documenting the astonishing success of the euro – up until the global financial crisis, that is – will FX traders stand up and say the same thing for the euro?